Degree One Events: Rifflandia - HIP HOP EVENTS! 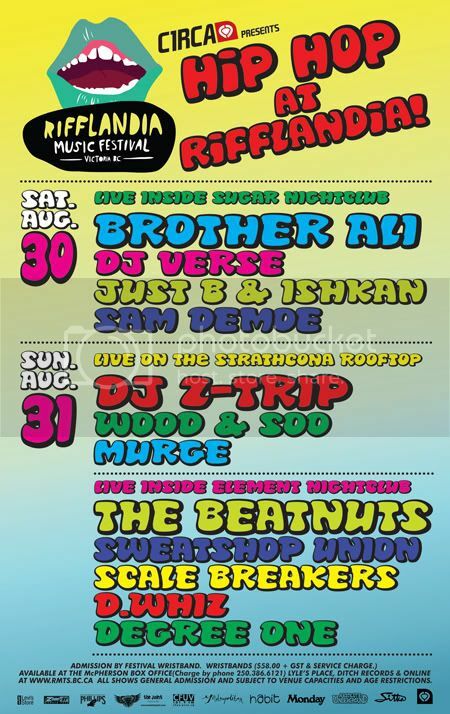 Rifflandia - HIP HOP EVENTS! 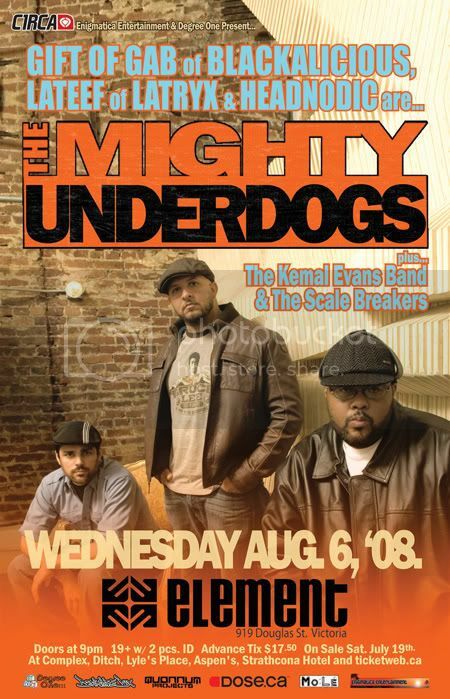 There are tons of wicked groups playing at The Rifflandia 2008 Music Festival in Victoria between August 29 - 30, but we wanted to make sure that all the heads in particular were aware of the hip hop artists that will be part of the action!! !